There is no real theme to this week’s rare whisky tasting. However, Angus MacRaild believes there is a thread of consistency running between each of the three whiskies he’s chosen for review. All were distilled during the 1970s, and are very much driven by distillery character rather than cask – an attribute some associate with bygone styles of whisky production. 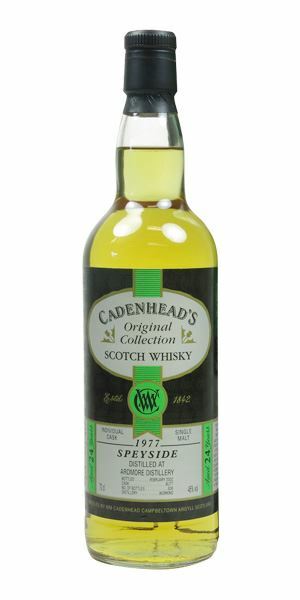 MacRaild kicks off with what he considers an underrated 1977 Ardmore bottled as a 24-year-old by Wm Cadenhead. He finds it an ‘excellent and exemplary’ expression of Ardmore’s peaty, farmyard style. 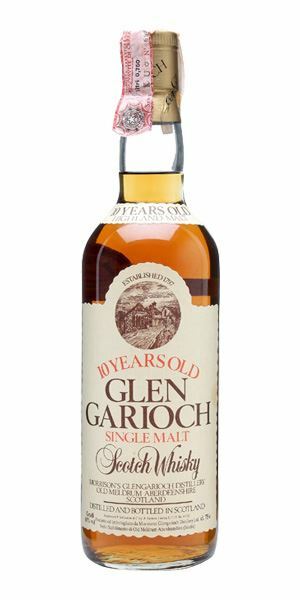 Similarly the second whisky, an official 10-year-old Glen Garioch bottled for Italy in the 1980s, is a ‘thrilling’ encapsulation of the Highland distillery’s heavily-peated style that was prevalent prior to 1975. Fat, textural and farmyardy, MacRaild notes how one might easily mistake such a whisky as being from Brora. 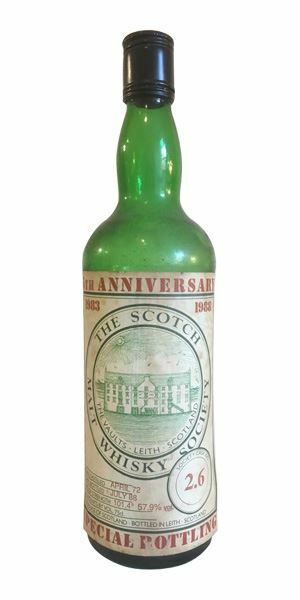 Moving away from peat for the final whisky, MacRaild picks a Scotch Malt Whisky Society bottling of Glenlivet 1972, bottled in 1988 for the Society’s fifth anniversary. MacRaild finds it a clean and classical example of the Glenlivet character: light, grassy, refreshing and driven largely by the raw ingredients over the cask itself, which plays a more supportive, background role. Ardmore’s wonderfully idiosyncratic mix of soft, crushed peat and general farmyard grunginess is front and centre here. A character which unpacks into oily tractor engines, silage, hay, flabby mineral oils, greasy phenolics and a few juxtaposing notes of white flowers and raw barley sweetness. A wee farmyard in a glass. Total consistency with the nose, with this thick and fatty profile all on greasy farmyard qualities, earth, damp malt, smoky grist, touches of wood spice and nutmeg. Some toasty notes, wood char and mustard seed along with lots of paraffin, lamp oil and camphor. Medium-long finish with plenty of gloopy, oily textural qualities. There are residual mineral notes and an abundance of rigorous farmyard funk. This bottling doesn’t have a terrific reputation but I’m not entirely sure why. I find it a really excellent and extremely characterful dram. But then, hasn’t that so long been the case with Ardmore? One of the most bewilderingly unloved makes around. Rather joyously, this clearly hails from the pre-1975 peaty era of Glen Garioch. A beautiful and rather glistening, oily peat profile. Fat farmyard qualities add muscle and tension underneath. Blind you would be forgiven for declaring ‘Brora’ upon first nosing. There’s smoked German Rauchbier in there as well, alongside cured meats, hessian cloth, spearmint, supple waxes and a big, sooty old coal hearth. Green peppercorns in brine, coal smoke, tar, olive oil, sardines, crushed aspirin and raw, fuggy peat smoke all coagulate into a big fat, delicious textural splodge in the middle of your palate which subsequently oozes out to fill up all the nooks and crannies of your mouth. This intersection of coastal brine, farmyard earthiness and raw, old school heathery peat smoke is pretty indisputable and brilliant. Long, earthy, greasy, fatty, oily, at times green and grassy, at others brutal and mineralic. Potent and thrilling old-style peated Highland malt whisky. If you drink it on top of a Munro in the western Highlands then you can probably add between one and two points to the score. Hyperclean, bright shining malt. Underneath some wonderfully ripe banana, guava and melon. Lemon bonbons, damp straw, freshly baled hay, crushed hazelnuts, sourdough loaf, brown toast and something akin to the richness of good blanc de blanc Champagne. Continues with some lime jelly and more toasty cereal and seed notes. With water it’s all plain cereals, hay, icing sugar, lemon cough drops and natural malty sweetness. Still wonderfully clean and very much driven by the barley. Only now there’s also quite an oily and textural ‘fatness’ about it. Lemon wax, herbal resins, chamomile tea and soda bread – reminiscent of some great batches of Glenlivet 12 from the 1970s. Barley sugar, a dusting of minerals, light earthiness and some white stone fruits. A touch of white pepper nibbles at the front of the palate with water but otherwise it’s all towards grapefruit, lychee and tart gooseberry. Long, full of lemon barley water, yeasty fermenty notes, more crisp malt, buttered toast and freshly chopped herbs. There’s some seriously great distillate at play here and a lot of pleasure to be found but it’s the sort of whisky that demands a bit of concentration and time. For those with a bit of time to dedicate to their dram, this is pleasurable, rewarding and thought provoking stuff. Returning to your hotel suite for a bit of contemplative time to yourself (with Paul Simon). 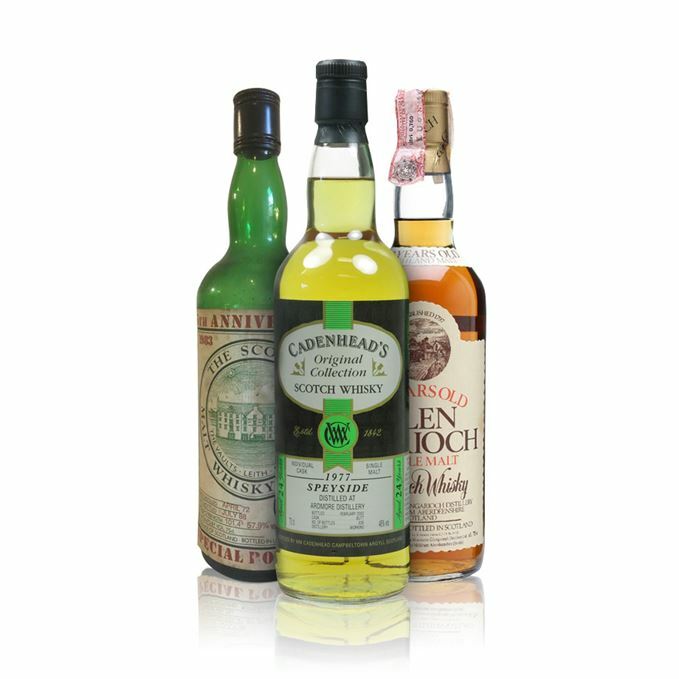 Rare Batch 49 10/10/2018 Three old Glens demonstrate the breadth of styles being made in Speyside in the 1970s. Rare Batch 47 12/09/2018 Angus MacRaild finds solace in three affordable vatted malts from the ‘70s, ‘80s and ‘90s.